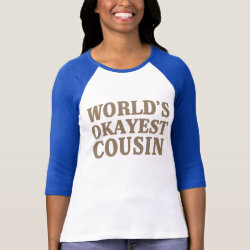 This is a funny original graphic text design to give to your fun-loving cousin! 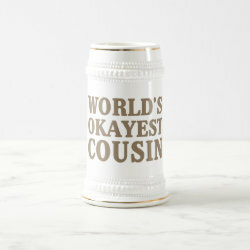 You know your cousin is the best cousin in the world, More... but if the secret gets out, everyone will want to be related! 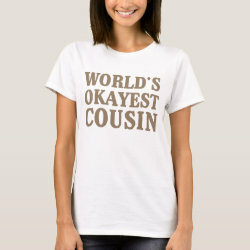 And where will that leave you? 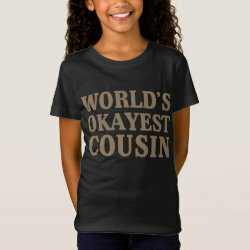 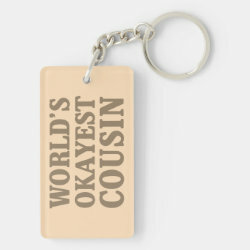 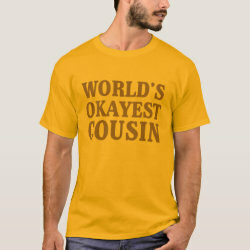 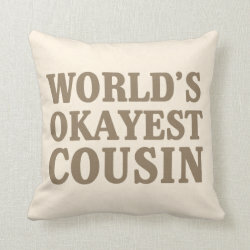 All you have to do is give this "World's Okayest" labelled gift -- and your cousin will be all yours. 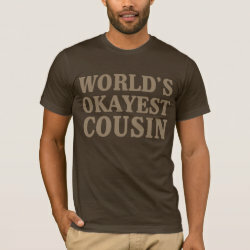 This text design is done in a medium tan color that looks great on light and dark colored backgrounds. 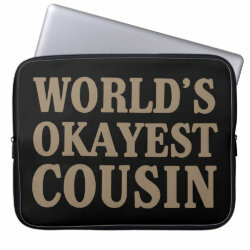 World's Okayest Cousin Neoprene Laptop Sleeve 15"